….wow….great quilt! 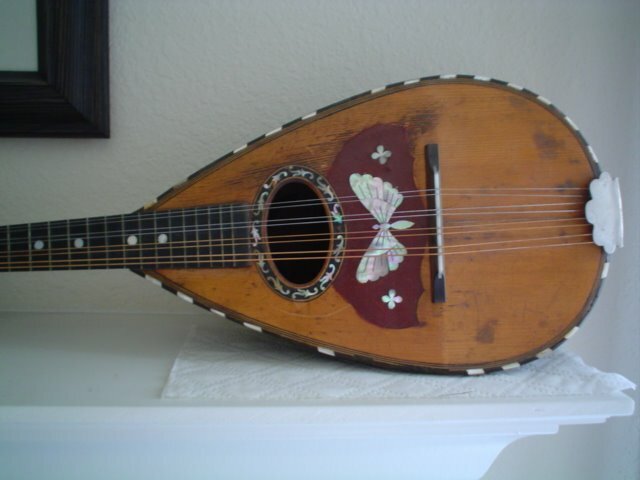 the batik fabric has certainly captured the feel of the instruments…and isn’t “grandfather’s” mandolin gorgeous….lovely history! 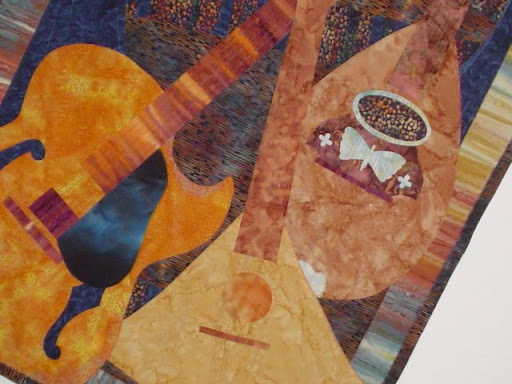 I think the quilt will be as treasured as the instruments….btw love the term “the grail”….! Theo’s reaction to this post is priceless. Let me just say your BF is in BIG trouble and owes him a 12 pack of Hamms. Wow. This quilt would definitely win the “best in show” prize. This took my breath away when I saw it. Absolutely stunning! Terrific piece of Art! and what a great story and history for it. It gets my vote for Best in Show! Your quilt is stunning! And I can see that you are not the only one with talent in your family! I love Django too, as does my husband. Very inspiring! Really beautiful and a greatv story! I love Django’s music! For a first art quilt that is pretty amazing. I really like the way it turned out. Very Nice! Absolutely amazing! Wonderful art quilt. Fantastic quilt..it could well be Best of Show. I made a quitar quilt for one of my sons too. Love your story too. Lovely quilt (and wonderful label)! Thanks for sharing. THis quilt is amazing! Such an amazing work of art! I love it! You may be right! That is one incredible quilt! Love that you made it with TLC for your Man. I am so scared to try an art quilt! What a creative quilt and great tribute to the musician in your life. Thank you for stopping by my blog and the sweet comment on my pinwheel star quilt. What an amazing quilt, and wonderful story! um, WOW. this is spectacular. Doris – I love your quilt!!! What an amazing collection of history to go with it 🙂 Thank you for sharing! such a stunning work of art!! Such a beautiful story and beautiful quilt! Wonderful! 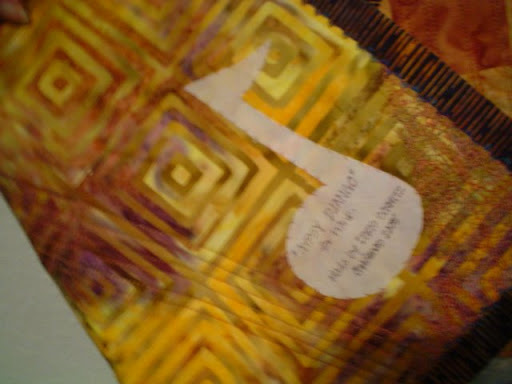 Hope to see more art quilts from you. Great story and an amazing quilt. You did a fantastic job. Love it. 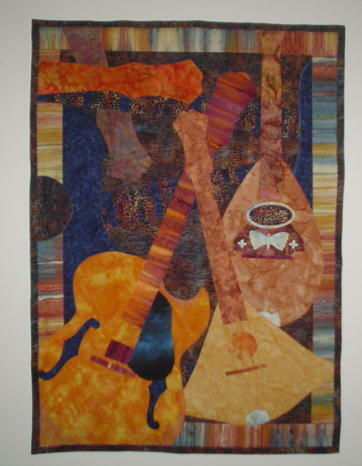 Great quilt, will show my husband, he plays mandolin. I’m yet to attemp an “art” type quilt. It is definitely a work of art..very pretty indeed! I love how you made this so personal! 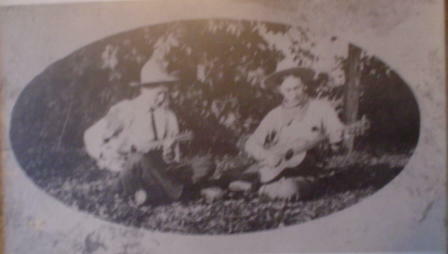 The mandolin is beautiful and you really did it justice in your re-creation. Thanks for sharing this. What a wonderful quilt. Very unusual. It is so interesting to see what different people are coming up with for quilts. Such fun! You are very talented to create such a wonderful work of art. Wow, Doris, this art quilt is amazing! I love your inspiration behind it too. Very impressive work! Wow!!! I love this quilt. My husband collect guitars and he has been asking me to make him a quilt with guitars on it. I’ve been waiting and waiting because I’m really afraid that I won’t be able to do it. Your quilt inspires me to maybe give it a try. Thanks!!! Best of show, indeed! The quilt is stunning, and the history and story behind it is just wonderful. What an heirloom. Thank you so much for sharing! wonderful quilt. love the story and the accompanying photos. Stunning quilt! Luscious colors. I’ve long struggled trying to capture the graceful lines of my own sweetie’s guitar in fabric-you’ve captured them beautifully. Your first art quilt? Wow…I’m impressed! WOW I love this quilt…I could stare at this for days!! Doris, your quilt is simply stunning! I wish I could see it in person. What a lovely and priceless gift! Both mandolins are gorgeous! Thanks for sharing the quilt and it’s story. Beautiful colors and recreation of these special instruments. I love it! This is one awesome quilt! Hard to believe you haven’t done art quilts before, because this is obviously a real talent! Hope we see more of these! You get my vote for best of show! What a beautiful quilt. You have interpreted the instruments so accurately. Thanks for sharing the wonderful story behind it too. Wow! that is so cool! “Portraits” of musical instruments. Very nicely done! Incredible work! I can see why it is your favourite! That’s fabulous and I LOVE the photo! What a great piece of history! Very clever and beautifully done. What a wonderful quilt! I would so love to see it in person to appreciate the detail in it – what a wonderful work of art! 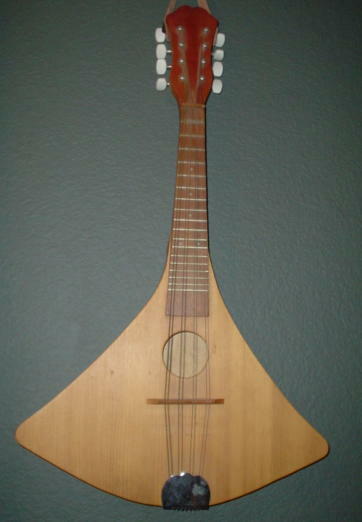 Amazing…my husband also plays guitar and made what he calls a dulcilyn, mando-dulcimer combination that he later turned into a octive mandolin. He too has sold “inferior” guitars to get better ones and in fact is sitting a few feet away making a guitar right now. I just showed him the wonderful photos of your work of art quilt. We are both very impressed. So glad I persisted in trying to see all the entries and got to see your! Wow, that is some quilt! Love the history behind it. You get my vote for best of show, and i've only seen half of the quilts.